Park Place Village - Near Southside, Inc. In 1998, Peter Schroder opened Old Neighborhood Grill in Park Place Village in a ninety-year old building that was once a cake shop. The restaurant became a popular spot where many residents from the surrounding neighborhoods come to begin their days. In 2018, Peter passed the torch to new owners Brenda and Wallis Lester, whose commitment to neighborhood-friendly service and delicious food remains just as strong. Fran McCarthy’s extensive renovation of the historic storefronts along 8th Avenue coupled with the variety of independent retail businesses on Park Place Avenue have preserved the historic charm of this short but highly visible stretch. When Nehme and Christina Elbitar opened their Lebanese eatery Chadra Mezza & Grill, they brought renewed energy to the village. 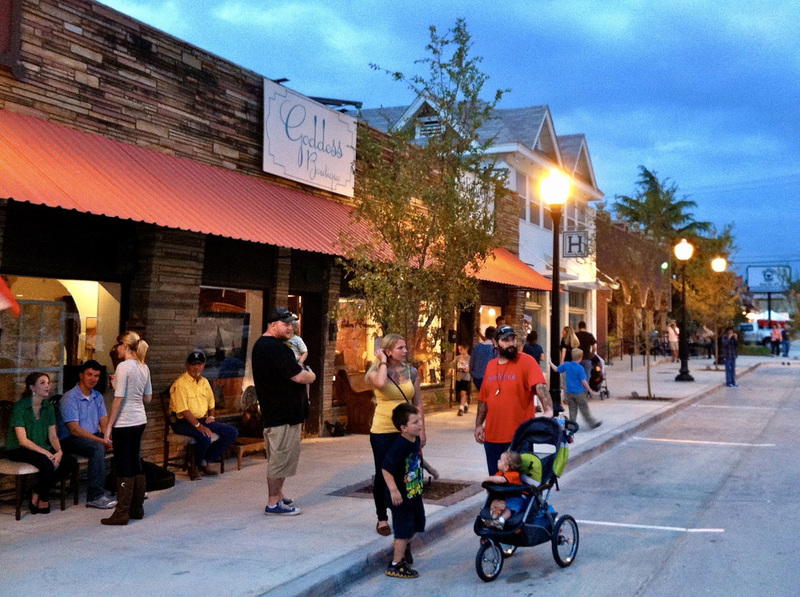 Longtime retailer and lumberyard Quarles continues to serve Park Place Village, leasing spaces to Ensemble Coworking and Music Junkie Studios, among others. Led by the efforts of NSI, the streets and sidewalks of Park Place Village have undergone significant renovations to improve pedestrian and bike access, and the new Baylor Surgical Center constructed nearby keeps those sidewalks busy, as do direct connections to the historic Berkeley Place and Mistletoe Heights neighborhoods immediately to the west.